Its finally the end of May which I actually couldn’t be any happier about as this means its coming towards the end to exams. I will officially be stress free which means I’ll be a happy bunny as there’s no more staying in and revising its all about adventures and fun outdoors. However, it means its time to share with you what I’ve been loving this month. It was quite easy to pick this months as its been the same things that I’ve been using throughout the whole month. 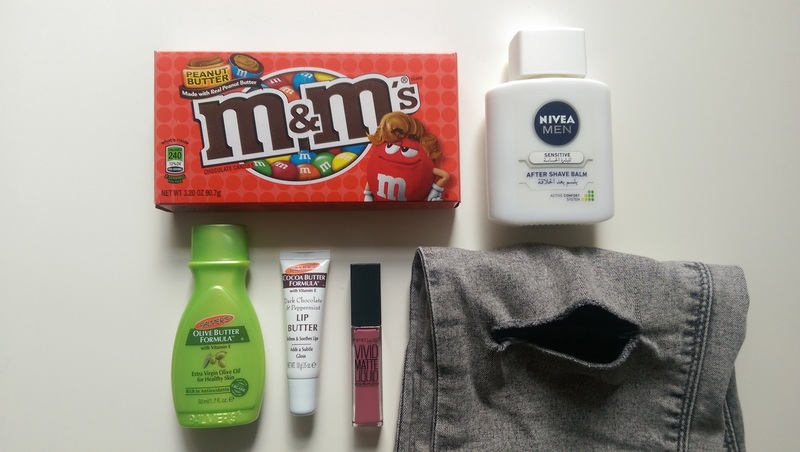 Peanut Butter M&Ms – Amazon. The first favourite has to be my new favourite of 2016. I blame Hemisha for this as seriously she was nibbling on these in college one morning, I tried one and I totally fell in love. So I went out and bought some and now I have a stash in my bedroom. I mean everyone needs to try these they’re so nice like you will thank me! Nivea Post Shave Balm – Boots. I wanted to see what the hype was about so I purchased it but I just had the chance to try it as a primer. My foundation went on so easily and smoothly. It also made my foundation stay on and there was no creasing, which also happens to me so this is a win win! Palmer’s Olive Butter Formula – Feel Unique. This is such a subtle and absorbing moisturizer and especially on my skin as its really dry this brought some life in to it by rehydrating it for as long as 25hrs. 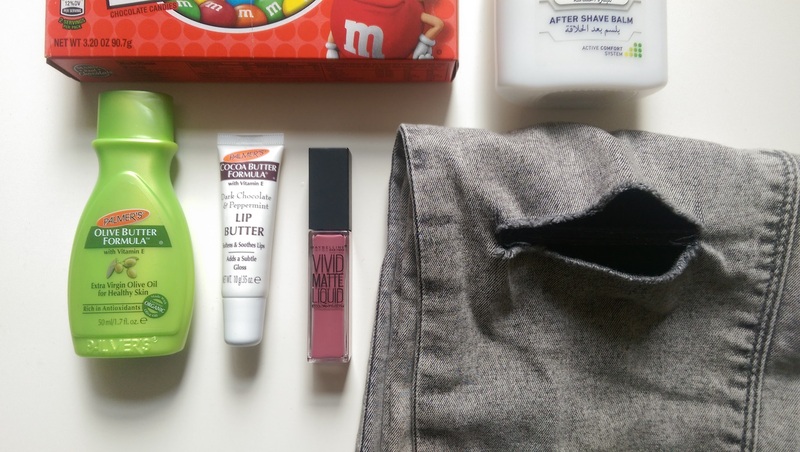 Palmer’s Cocoa Butter Formula Lip Balm – Boots. I’ve needed a new lip balm as I was sick of the strawberry scented and flavoured ones and seriously this is literally so handy to stick in your handbag it tastes lovely and leaves your lips feeling smooth and fresh. Matte Liquid Lipstick – Maybeline. I mentioned this in a post last month since then I haven’t stopped wearing this I mean this has to be my holy-grail colour on my lips I love it so much. The application is easy and the look of it is flawless I mean its just a 2 in 1 really can’t go wrong! Grey Acid Wash Ripped Jeans – Jailbird. Finally, I’ve rediscovered my ripped jeans and honestly I couldn’t be happier as they’re so easy to style and look super trendy. I’m going to definitely have to invest in a couple more pairs. Thanks for the advice Hassam!